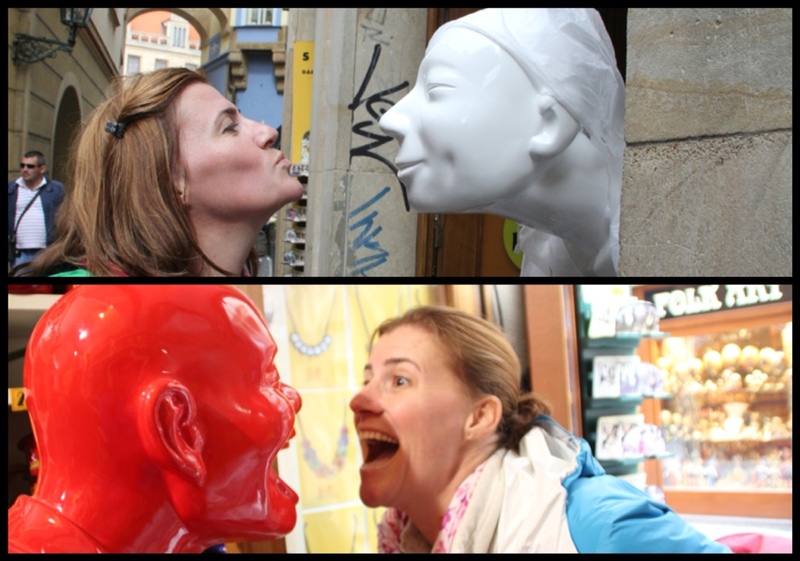 Prague/Praha/Praag: It all depends on how you see it. 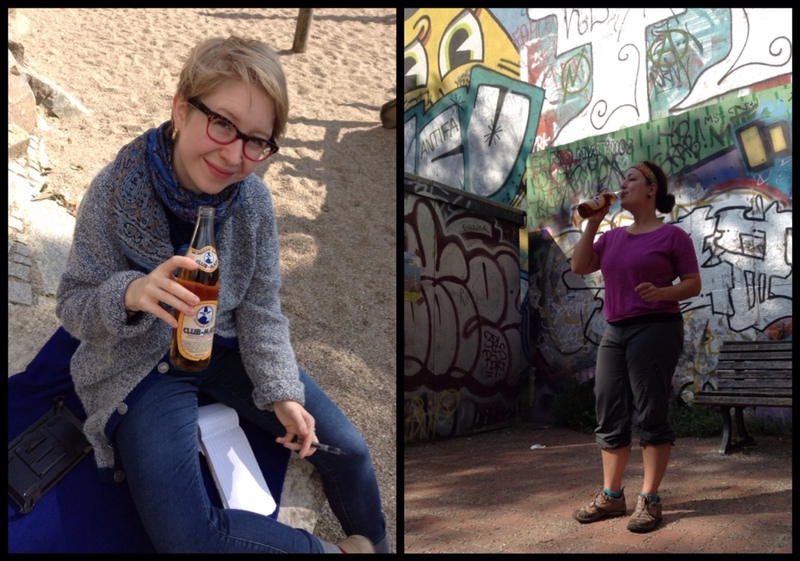 Elly & I had a relaxing morning; I packed and then we walked to the park to recap our adventures and drink a Club Mate'. They sell it at every refreshment stand in Berlin. Elly was sure that this was some kind of local beer, but then saw a librarian drinking it at work! Turns out, it's locally made, carbonated tea with a syrupy sugar flavor. It's what you would call an 'acquired taste'. All this talk of Clib Mate' reminded me of this: fun with Googlie eyes! 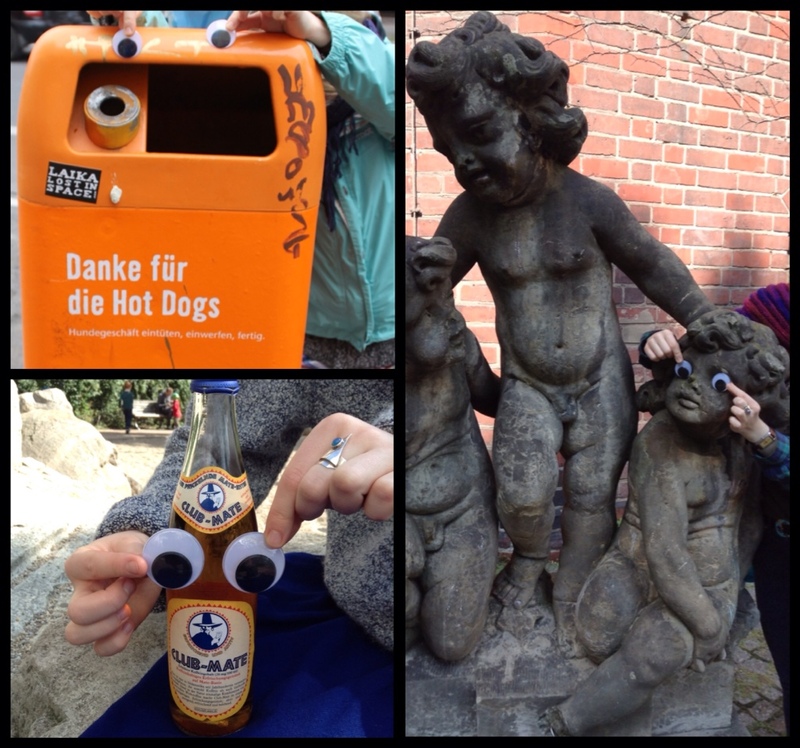 3- Club Mate' is more appealing with eyes. After our shenanigans, we hugged goodbye and I caught the U-Bahn at the station near Elly's (SchlesischesTor) and made my way towards Hauptbahnhof (a big train station & 4 floors of shops). I had just enough time to buy Natasja some Duncan Donuts and find my reserved seat on the train. I had attempted to buy my tickets on-line, but they wanted to charge me 18€ to mail me my 75€ tickets. While in Berlin, I went to the train station and bought the same ticket 'on special' for 44€! Score! 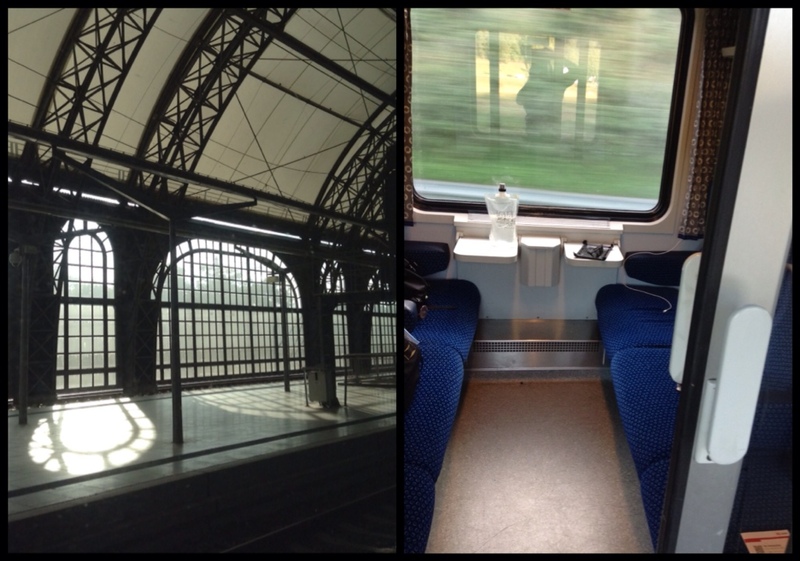 The ride was 4.5 hours long, the first hour was just industrial wasteland as we exited Berlin. 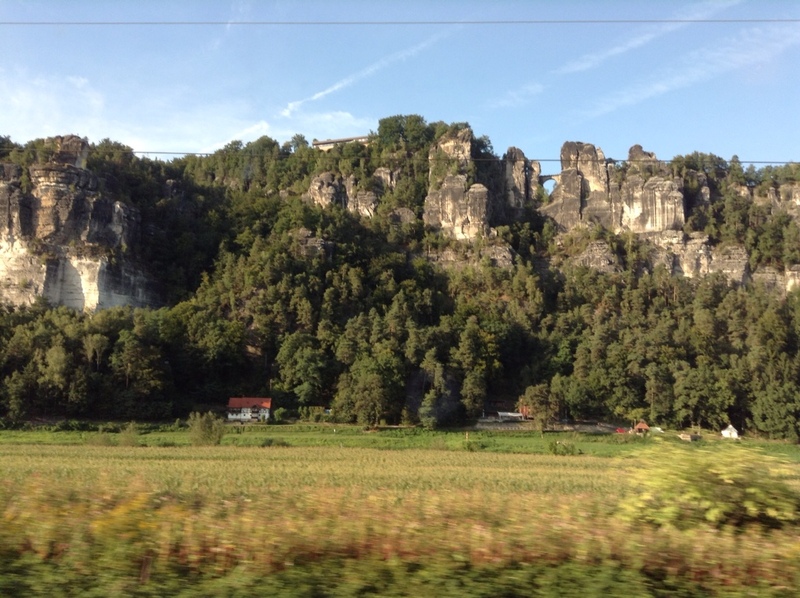 After we passed Dresden we were following the Elde river and it was picturesque! Often, the far bank had a paved trail and we saw many people biking, hiking and even camping along the river. That evening when I arrived at Prague's main train station (Hlavni nasrazi) things got a bit tricky. I felt like I was on The Amazing Race! I had to get Czech Krona in order to buy a ticket into town, but no one spoke English. I eventually found a 'Bankomat' (no wonder saying 'ATM' didn't help me) and got $1400Kr. But the ticket machine only took coins! (Later, I figured out there is an attendant at a ticket window.) 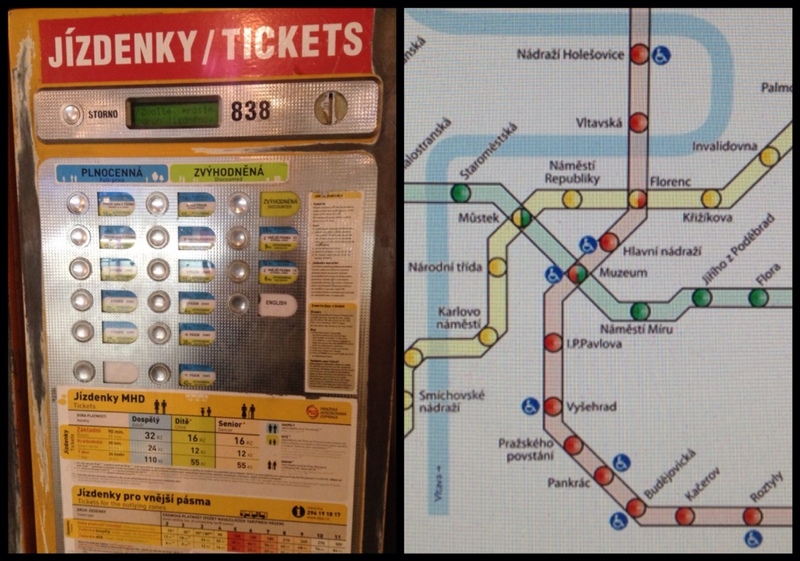 Next, I bought a yogurt, so I had change for the machine and with the help of my guidebook, managed to purchase a ticket (12Kr)! It was only 2 stops on the Metro, then I was wandering the dark street, looking for my hostel, Miss Sophie's. 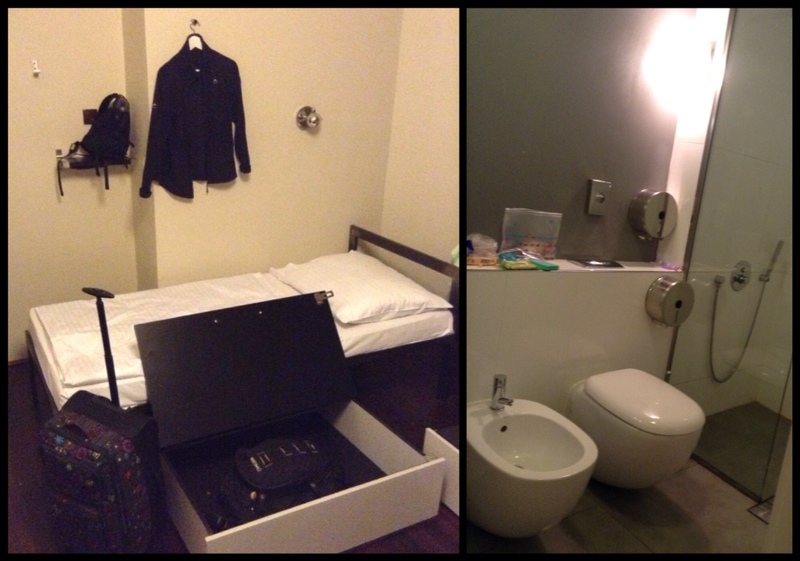 After a 20 minute confusion with our bed assignments, I stashed my bags in the under-bed-rolling-locker (great idea!) and walked toward Wenseslas Square. I found my way down to the National Museum (Narodini Muzeum) – (the awesome desk staff informed me that from 8pm- 1am was Free Museum Night (Prazska Muzejni Noc)!) but the line was long so I headed back to Miss Sophie's to see if Natasja's plane had arrived. And she was!!! YAY! YAY! YAY! YAY!YAY!YAY!YAY!YAAAAY!!!! 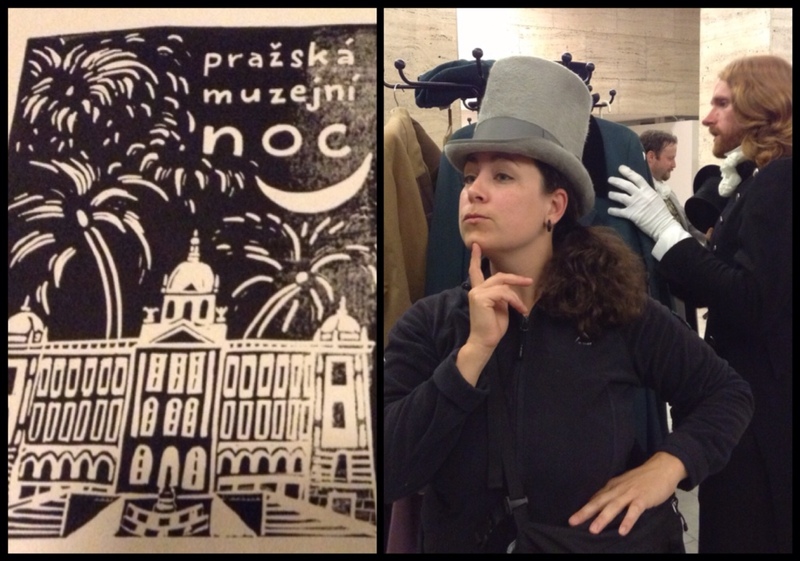 We headed back out to the museum where we admired 3 huge portraits of Franz Jozeph, used a 150 year old printing press and tried on a fancy gentleman's hat. (Do you think he noticed I was wearing his hat?) 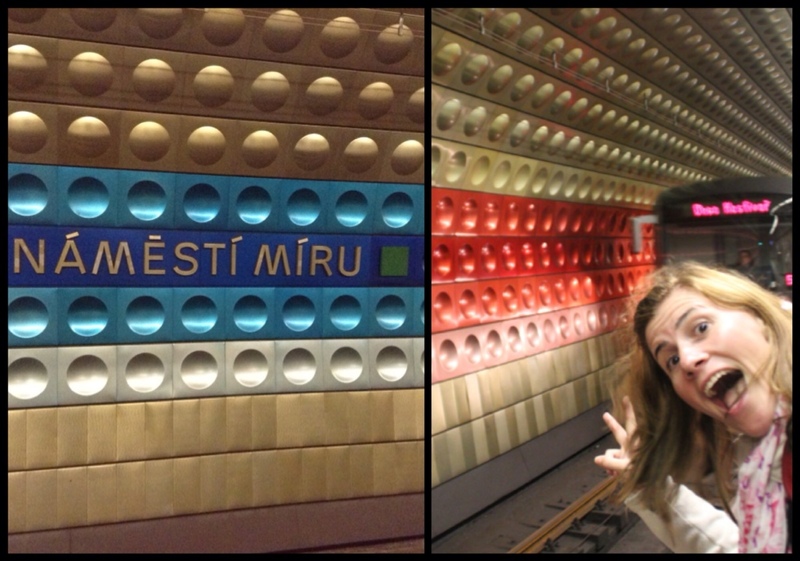 We stayed at the museum until 1am, then caught the 'futuristic' Soviet metro back to our hostel. 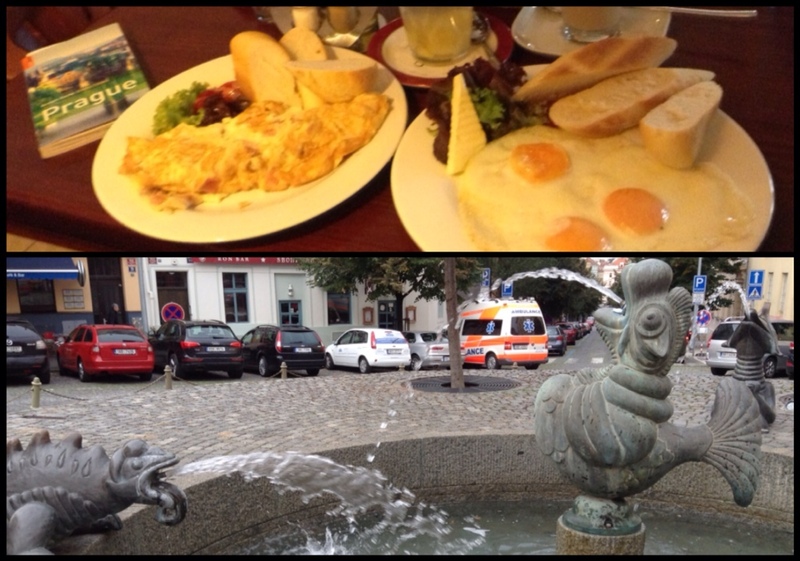 The next morning, near a traffic circle with a fanciful fountain, we found the restaurant Zanzibar. They served fresh ginger tea and had great eggs/omelets! Then, off we went, down 'Ameriky Street' to wander around Old Town. We saw the Charles bridge. Natasja took this awesome pic of Wenseslas Square (which is more of a boulevard than a square…) The National Museum is at the top of the hill. 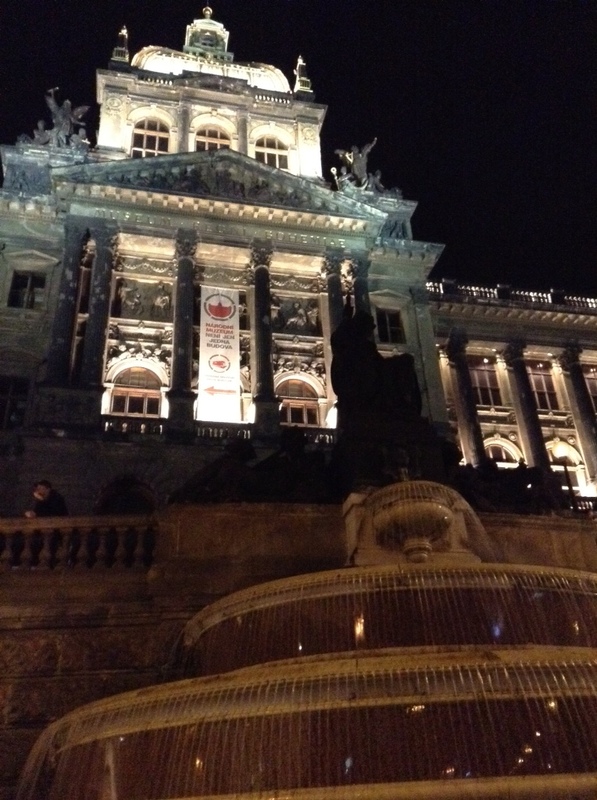 Then we headed down to explore the Old Town square, where all the tourists converge. 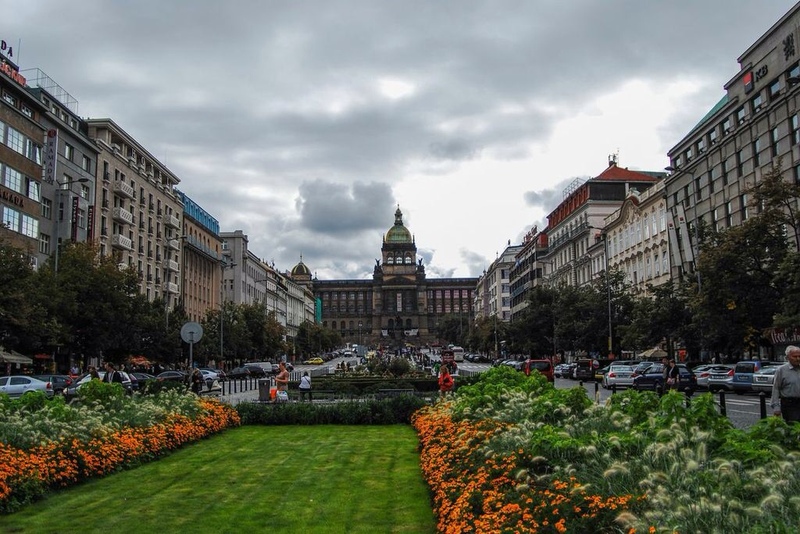 The square (namesti) is huge, surrounded on all sides by gorgeous buildings and old churches. The astronomical clock is here as well- it was built in 1410 as a tourist attraction and people are still gathering to watch it every hour. It is beautiful but keep your expectations low, it's hourly 'performance' consists of two little doors that open to reveal…the 12 apostles!!! Yahoo! We wandered the market, had tea and at 2pm headed back to that blasted clock to meet up with our Royal Free Walking Tours guide. 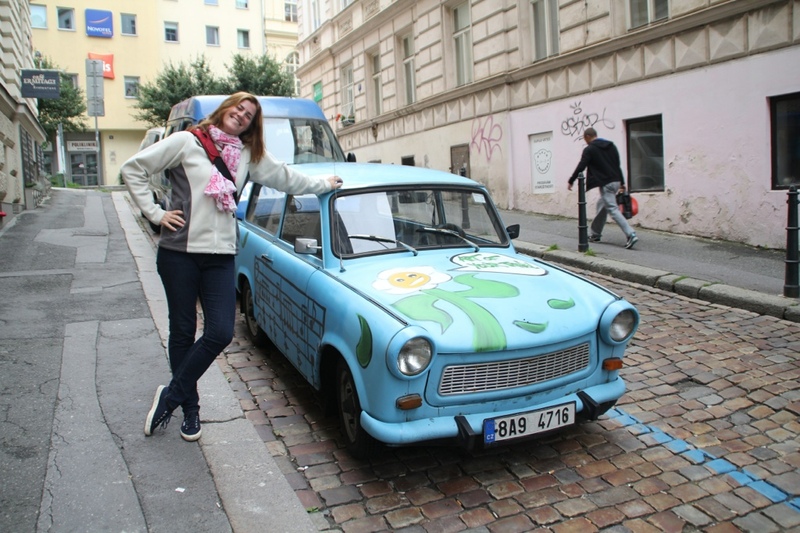 She was awesome & had many sad stories to tell us about the history of Prague. For example, the man who built the clock in 1410 was Master Hanoush and Prague was so worried that he would make another clock for a different town that they poked out his eyes! He ended up throwing himself into the clock gears & the clock didn't work for the next 100 years because no one was smart enough to fix it. Ha! Enough heavy stuff, just look at these cute pix of Natasja to help you feel better. The walking tour was 2.5 hours of interesting history with Bianca- we learned about Charles the 4th, who built the bridge & university that, 600 years later, still bear his name. That's him, in the left panel of the photo below. 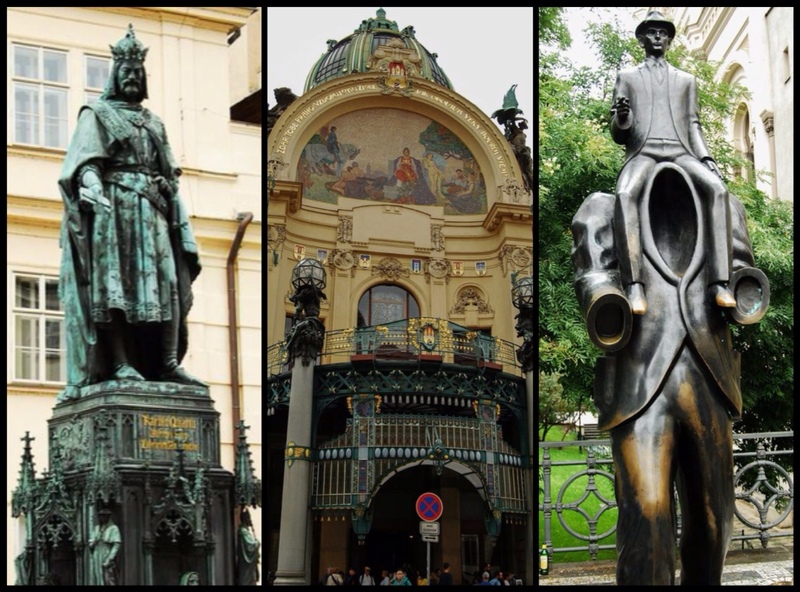 Prague was also home to Franz Kaftka, the photo on the right is from one of his stories about a man who finds an empty suit walking by his window and rides it through town. 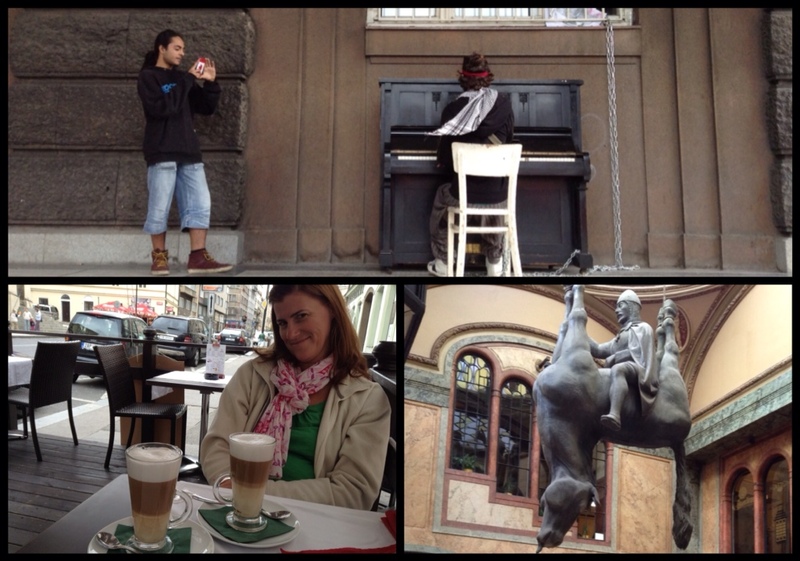 Thanks to Alfonse Mucha, the building is the most interesting Art Deco design in Prague- the Municipal House. In a city so full of Art Deco design, this was my favorite, there will be more photos later. Promise. 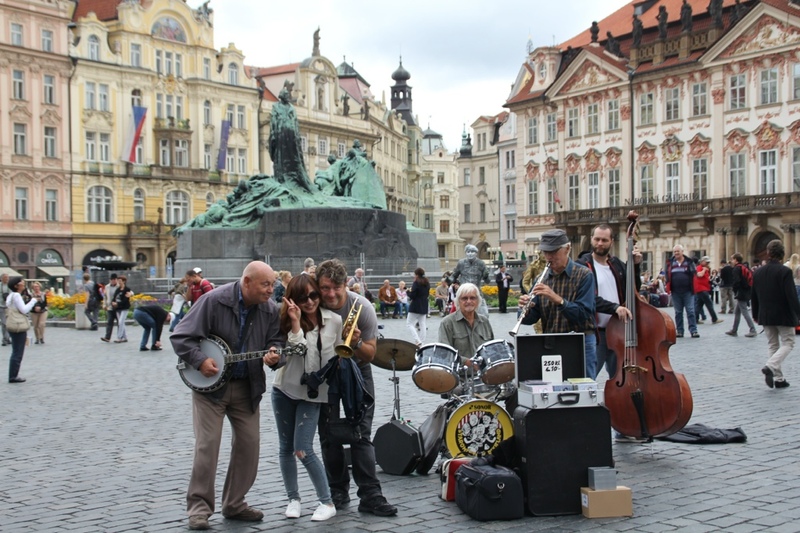 Bianca told us that Mozart loved Prague too. He wrote the opera, Don Giovanni, for the Czech people. Alfonso Mucha was a big Czech patriot as well, and at the end of WWI, when Czechloslovakia became a country (1918) , he lent his artistic talents to the new government. Mucha designed their printed money, postage stamps and other materials. I bet they were pretty, just like the lady in the photo below. Mucha rocks. 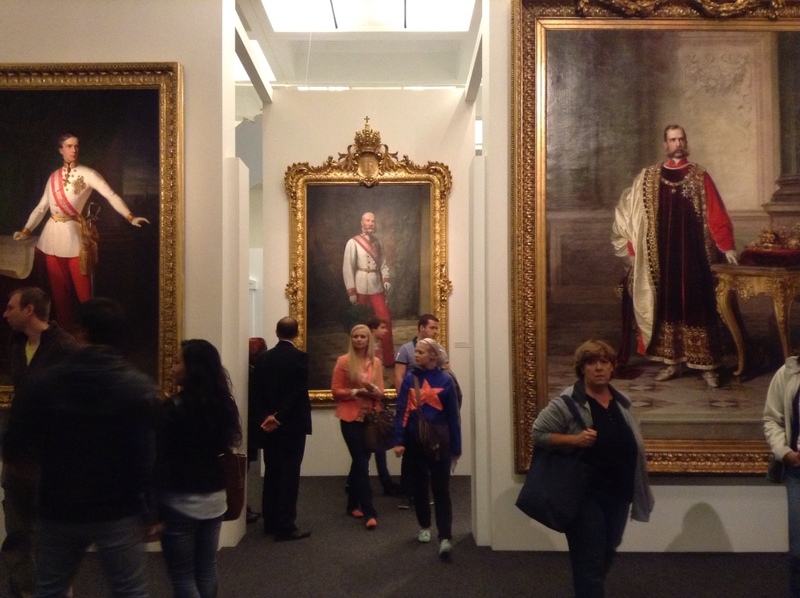 Bianca also clued us in to Prague's tumultuous last century. It started in the 1930's with the Nazi, then the Communists ruined Czechloslovakia. Resistance grew during the Prague Spring in 1968. The next year, Jan Palek, set himself on fire in front of the National Museum. 180,000 demonstrators arrived at Palek's funeral, but the Communists weren't forced out until the 'Velvet Revolution', two decades later. The weather had been fairly rainy and when we went to explore the Prague Patagonia store, Natasja ended up buying a sweet jacket! 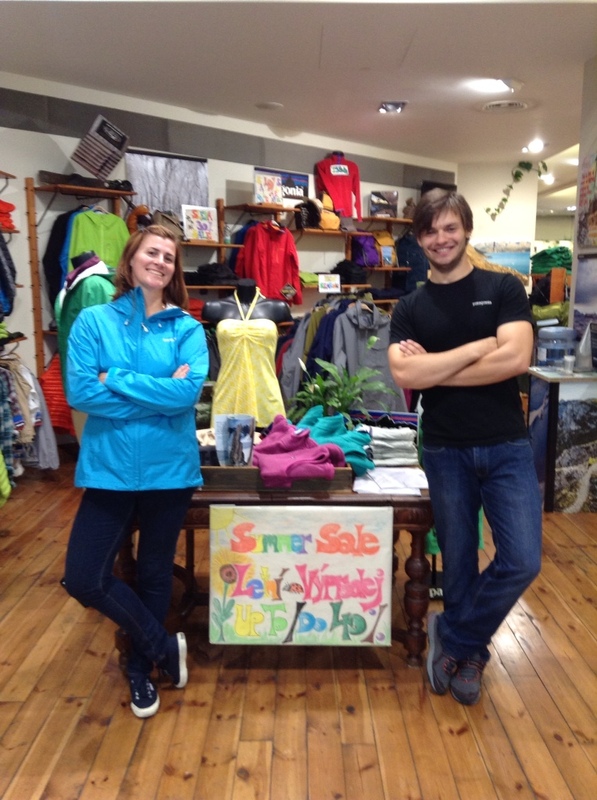 The staff were great & even pulled up the Facebook page of the Portland Patagonia store so I could show them my friend, Matt! 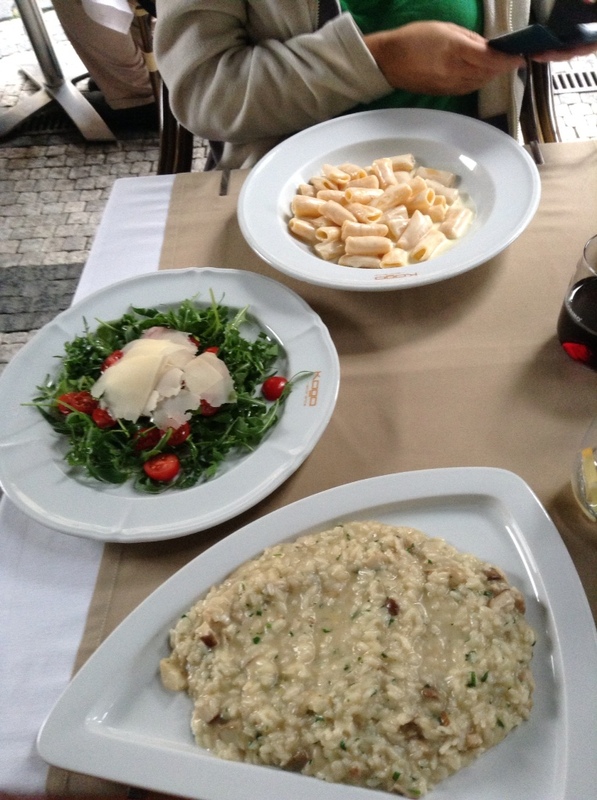 Later, Natasja & I found a spectacular little Italian restaurant to escape the rain and I had the best mushroom risotto ever! It was mushroom season, so all the mushrooms were fresh & wild-picked! Yum! 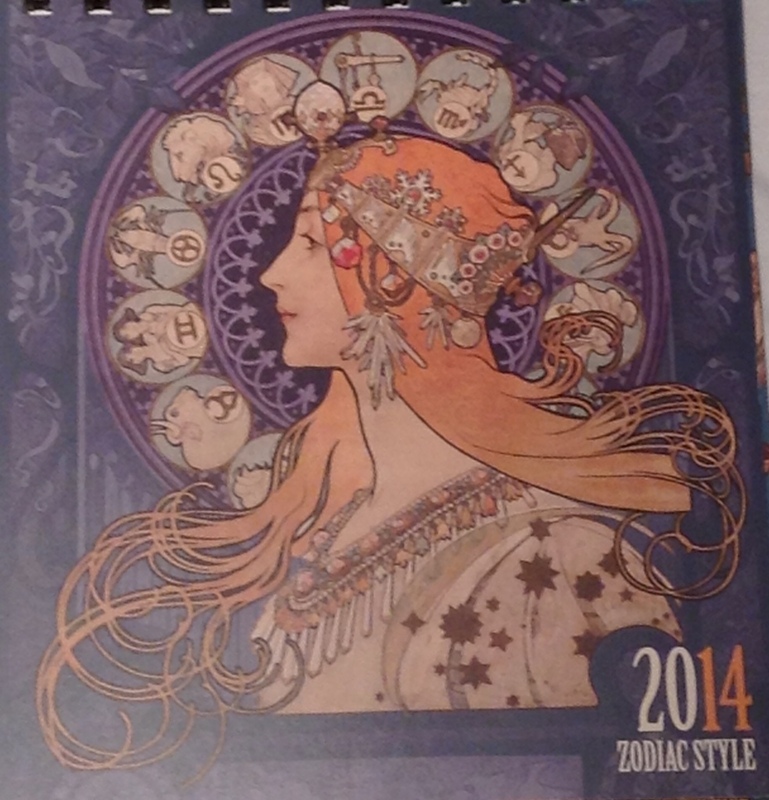 Tomorrow we see the Mucha museum & drink Absinthe at the Hemmingway bar! Stay tuned! Previous Article Berlin: A bear pit, St. Peter’s Basilica & Parliament Dome. 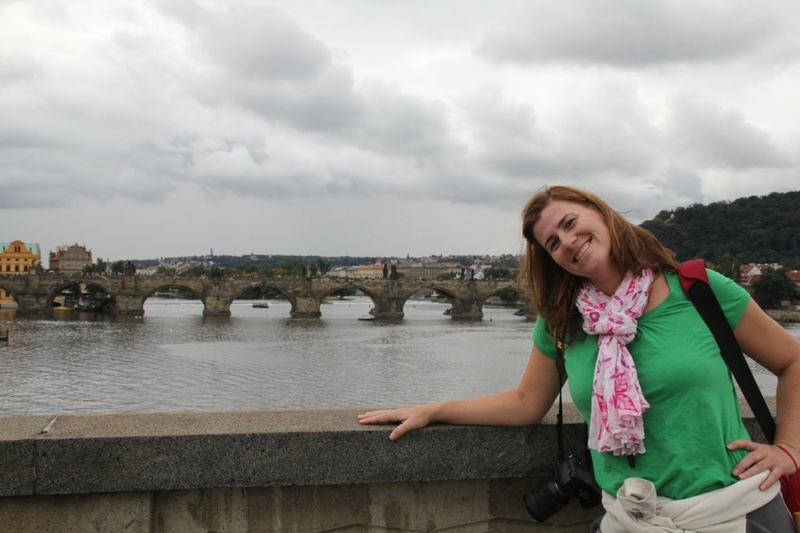 Next Article Prague: Mucha, Hemingway and the 800Kr ticket.